A multi-jurisdictional task force made up of local law enforcement in the Merrimack Valley and the Boston Office of the FBI captured the Merrimack Valley Bandit on Tuesday. 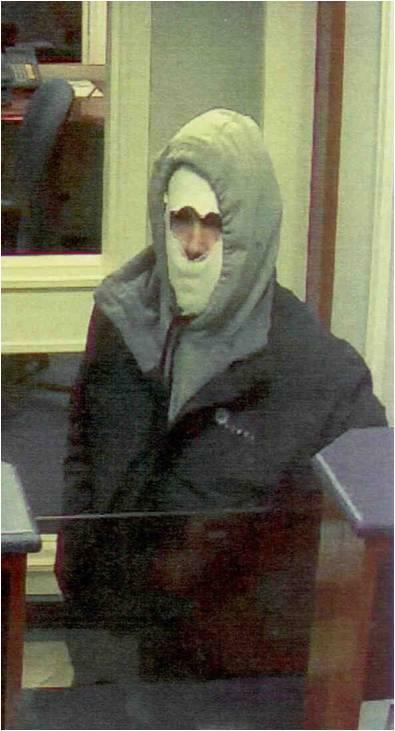 According to photos the bandit is responsible for robbing 15 different banks from Lawrence and Groveland to New Hampshire and Maine. He is also responsible for robbing a convenience store in Methuen. Federal officials say that they are charging 32 year old Rafael Beamud formerly of Salem NH, with the Bank Robbery of TD Bank North on Broadway in Methuen. He is currently in the custody of the FBI. Beaumud was arrested after a traffic stop near the Home Depot in Salem, NH. Beamud is reportedly from Lowell, Massachusetts. He is the son of a retired Cambridge, Massachusetts Detective. Methuen officials will also be charging Beaumud with the armed robbery of the Rt. 110 Convenience Store on Merrimack Street in Methuen. Solomon said that he hopes the bandit will be charged with each bank robbery and thanked the United States Attorney’s Office as well as the Boston Office of the FBI, The Salem NH Police Department and the task force members who arrested the bandit at about 3:30pm on Tuesday.